Going Nuts or Legitimate Trade Mark Defence? When can fans’ enthusiasm for a particular food -- whether it be Marmite, Mars bars, Pringles or, in this case, Nutella -- bring them into conflict with trade mark owners? Sara Rosso, an American blogger living in Italy, invented "World Nutella Day"1 in 2007. She and fellow American ex-pat Michelle Fabio host the website World Nutella Day which allows fans to celebrate their love for the chocolate hazelnut spread by sharing recipes using it in everything from cocktails to pizza. This year, however, she received a letter of claim from Ferrero SpA, the owners of the brand, complaining about misuse of their Nutella mark on the site, potentially threatening the very existence of World Nutella Day. Trade marks originated as "badges of origin" so that consumers could distinguish between goods produced by one supplier and those of another. However, their scope has grown exponentially over the years. Registered trade marks are effectively perpetual, provided their owners continue to use them and pay renewal fees3. Potentially major issues arise when ordinary English phrases are trade marked, or where companies such as Disney acquire trade marks for characters out of history (Pocahontas, Mulan), out of legend (Merlin, Aladdin) or out of copyright (Winnie the Pooh). However, with regard to Nutella, Doctorow may be batting on a slightly sticky wicket. The letter of demand sent by Ferrero SpA has not been published by either party, so the precise complaints are unclear. There are several possible areas of concern Ferrero SpA may have raised. First, all trade mark owners have to be very alert to the risk that their trade mark turns into nothing more than the generic name for the product. Words like "shredded wheat", "tablet" and "heroin" were all once registered trade marks. Ironically, many of the comments below Doctorow’s post include recipes for "homemade Nutella", which is precisely the sort of generic usage which gets trade mark lawyers’ negative attention. People can make and swap recipes for chocolate praline spread all they like, but as soon as they start calling it "Nutella" it creates a real trade mark issue and forces brand owners to act. Secondly, in addition to being a Nutella enthusiast, Sara Rosso is also a cookery writer, photographer and podcaster. Trade mark action can, strictly, be brought only against those who use the trade marked expressions in the course of a trade or business. There is always a lot of argument about when that line is crossed, particularly where the business in question is writing. The World Nutella Day site promotes a book called "The Unofficial Guide to Nutella" by Rosso and Fabio. It’s possible that Ferrero SpA had concerns about the linking between fannish activities and "for profit" actions on a site which uses their trade mark. 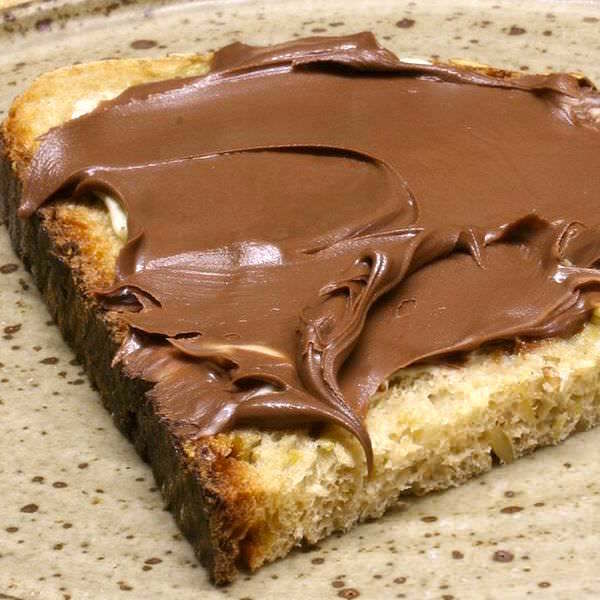 Positive direct contact between Ferrero and Sara Rosso, owner of the non-official Nutella fan page World Nutella Day, has brought an end to the case. Ferrero would like to express to Sara Rosso its sincere gratitude for her passion for Nutella, gratitude which is extended to all fans of the World Nutella Day. The case arose from a routine brand defense procedure that was activated as a result of some misuse of the Nutella brand on the fan page. Ferrero is pleased to announce that today, after contacting Sara Rosso and finding together the appropriate solutions, it immediately stopped the previous action. Happy Marmite Day, and may the toast fall ever right side up! The main image used for this article is: 'Chocolate Spread' and was used under the terms detailed at the above link on the date this article was first published.